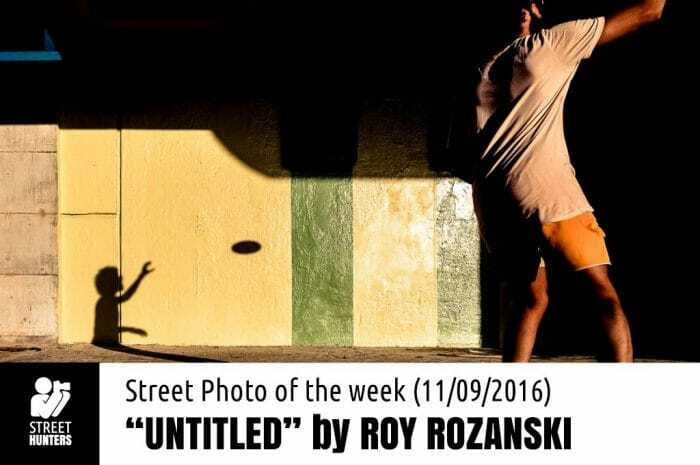 Roy Rozanski is an Israeli street photographer I discovered in the Streethunters.net Readers Flickr group. He shoots mostly in Tel Aviv, the capital of Israel. Tel Aviv is a small albeit vibrant city that is full of interesting characters and has amazing light most days of the year, so it is a perfect place to practice street photography. Roy likes capturing photographs as close as possible using wide angle lenses and small cameras. He takes advantage of the Tel Aviv light as best he can. Combined with his talent for street shooting and his keen eye he manages to produce amazing results. As he himself mentions, he is inspired by great photographers such as Martin Parr and Elliot Erwitt and tries to channel their influence when creating his own work. Roy could be characterised as an impulsive photographer who doesn’t like following rules. He admits that what interests him the most is to freeze moments in time that have a story to tell. Composing by following known rules, such as the rule of thirds, leading lines, etc take a back seat if it means taking an important shot. 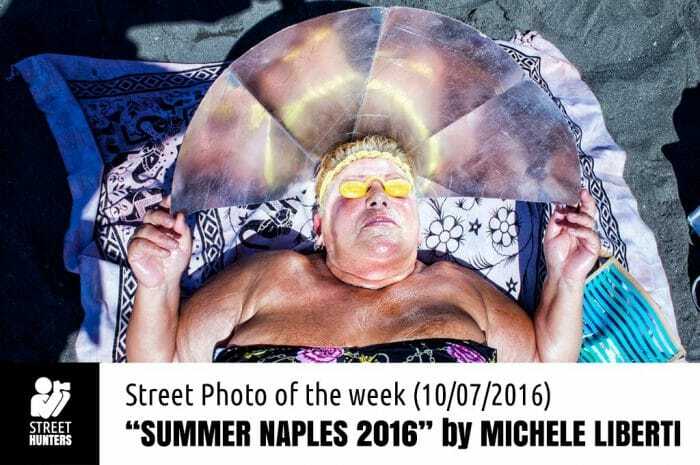 Michele Liberti is an Italian street photographer from Naples who has been shooting in the streets since 2008. He is a surrealist photographer, always looking for the odd, the surreal, the out of the ordinary image. He is a member of the Eye Go Bananas street photography collective. We have featured another member of this collective on the Street Photo of the Week feature, Riccardo Cattaneo. 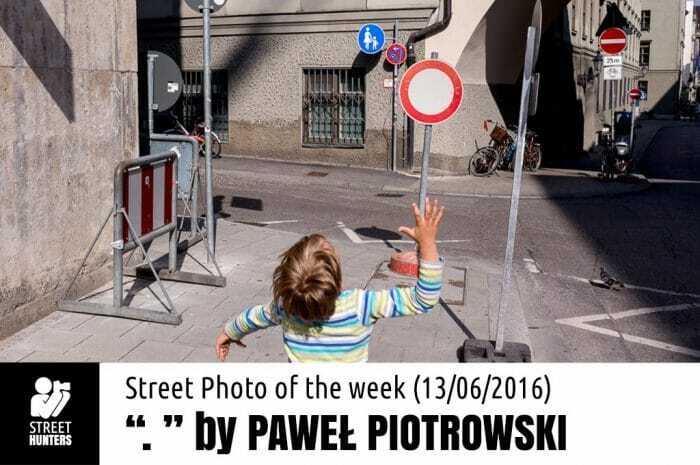 Paweł Piotrowski is a street photographer from Poland and specifically from Oleśnica. Besides being a photographer, Paweł is also a graphic designer and illustrator, so it is easy to say that he is a natural creative, a restless soul seeking to communicate visually through drawings, designs and photos. Paweł’s work has been exhibited numerous times and also published in various photographic magazines and websites. He has also been the receiver of quite a few awards and honourable mentions for his photography. I am happy to say that I discovered Paweł through our ever growing Streethunters.net Flickr Group that is full of stunning images by many talented street photographers. If you haven’t visited our group yet, I highly recommend you do. I always enjoy discovering new Street Photographers that produce great photos! I enjoy it even more when I discover them through our Streethunters.net Flickr group! Today, it is with great pleasure that I introduce to you Chu Việt Hà from Hanoi, Vietnam, originally from Bac Ninh. Unfortunately he is another “mystery” Street Photographer, meaning that there is not so much information about him online, other than his photos, so I can’t really say much about him other than that his work speaks for itself. 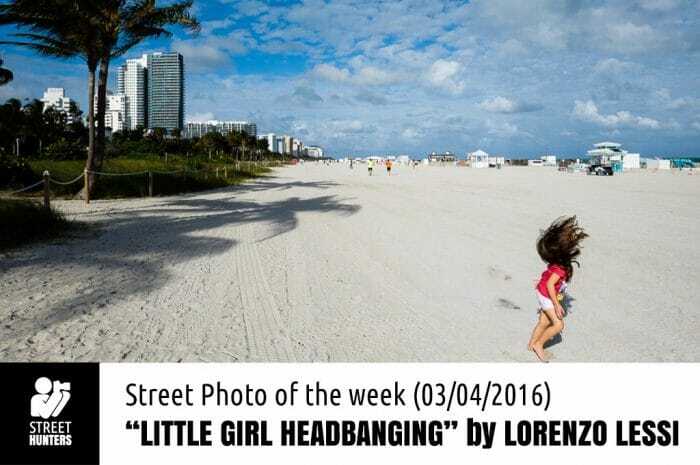 This time on Street Photo of the week we are featuring a photograph by Italian photographer Lorenzo Lessi. Lorenzo has been a creative person since he was 6 years old. Most of his life he has been involved in advertising, design, fonts and colours and since 2003 he has moved into photography which has turned into a true passion of his. He is a photographer who doesn’t care about what he uses to create a photo. What matters to him is that the result he has in mind, his vision, comes through in a way he wants it to. This is something that can easily be understood by the fact that he shoots digital, analog, colour and black & white without overthinking it. That is something that requires real talent. At least that is the impression I get from looking through his work. I know that it has been a while since I posted a “Street Photo of the Week” post, but I was terribly busy with all the Carnival preparations and partying! I managed to squeeze in two new Street Hunt videos that should both get published within the next couple of months and made a ton of photos. 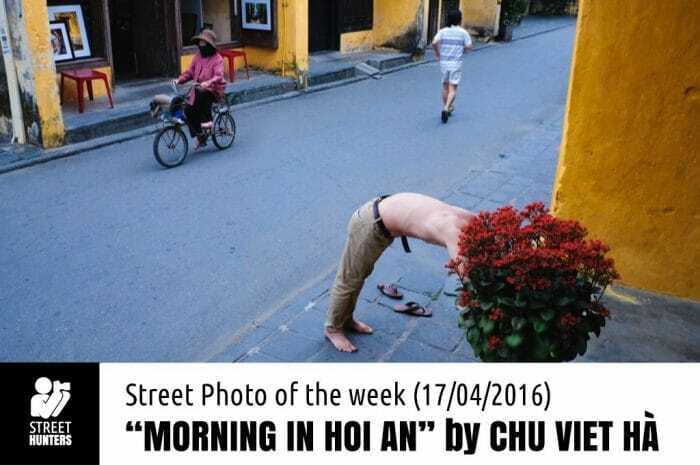 So apologies for the delay, and let’s get back to the “Street Photo of the Week” post. 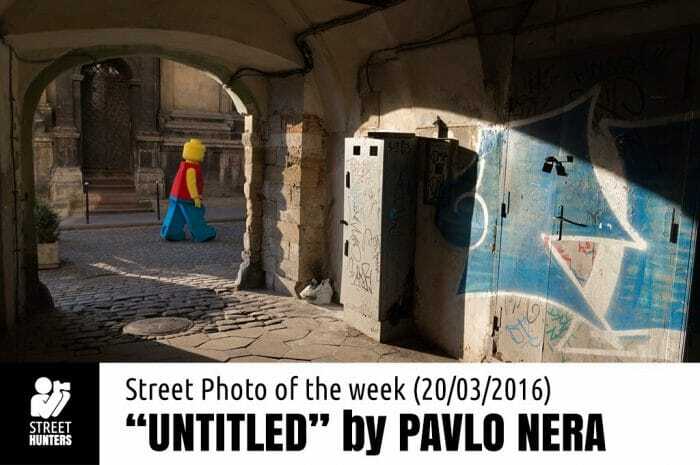 This week we are featuring a photo by Pavlo Nera. As is sometimes the case, I couldn’t find information regarding Pavlo on his Flickr, so I started searching the web for more. The only few things I came up with were that he is from Ukraine and that he probably currently lives and shoots in the city of Lviv. Other than that, I also know that Pavlo is a member of the Streethunters.net Readers Flickr group. I don’t know if he is a full time photographer or an enthusiast or if he has been featured anywhere else, all I know is that the photo I chose for today is amazing! This is one of those weeks when I make a pick that requires me to do an extra amount of research on a photographer. 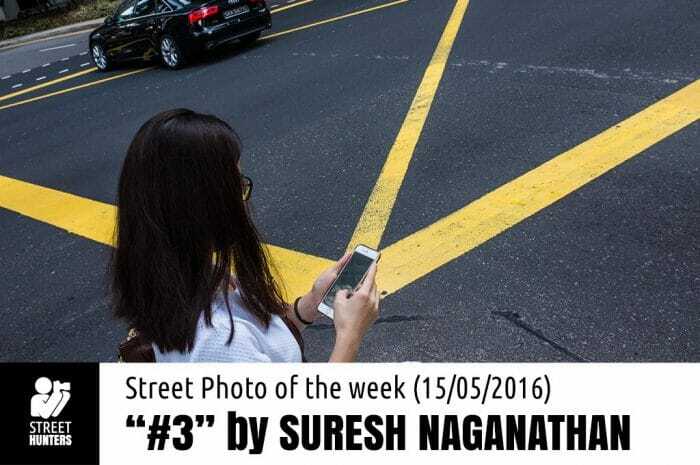 It has happened to me before and I usually find something on the web, a little piece of information that I can work on in order to present you with some background information on the street photographer responsible for the photo of the week. Well, this time, I haven’t found any information about BΘRIS THE FLASH as he spells it. 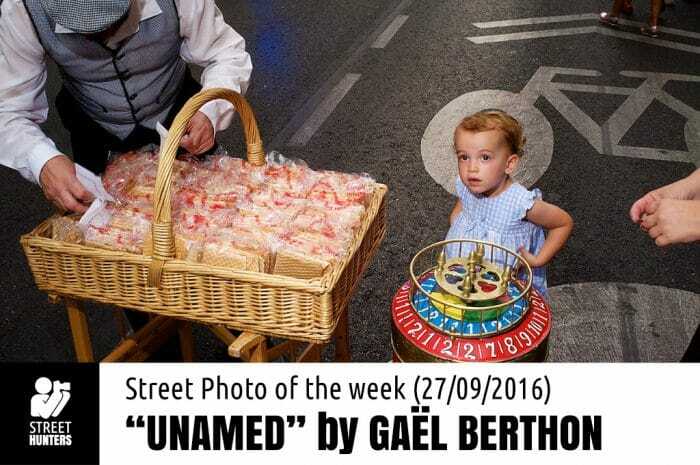 The only thing I know about this amazing street photographer is that he uses a flash (hence the name) and that he is a member of the Full Frontal Flash collective, a collective of street photographers that is dedicated to flash street photography. Further investigation into Boris and his work makes me speculate that he is from Bender, Moldova and that he lives in Israel, or he might visit Israel very often, since the majority of his work feels as if it is shot there. The other thing I know about Boris is that he is a huge contributor to the Streethunters.net Flickr group. 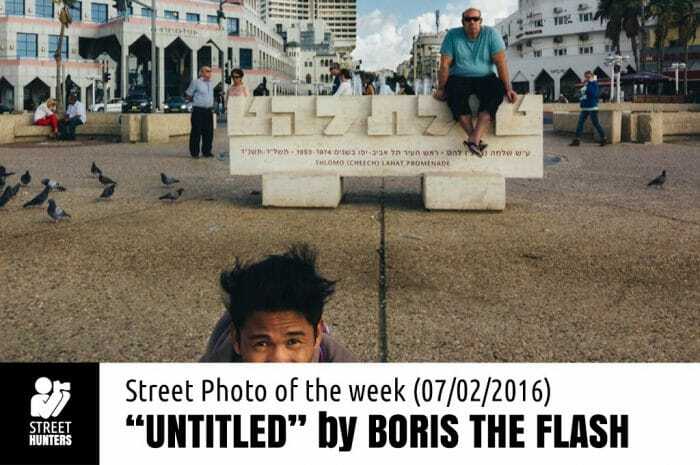 But that is all I know about this talented and daring Street Photographer, so Boris, man, if you are reading this and would like to share more info about yourself with us, please feel free to contact us.